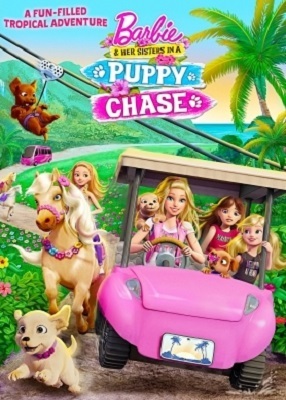 Again another adventure, in which Barbie and her sisters are their protagonists; The girls decide to go on vacation with their adorable puppies, after a long trip, they come to one of the most beautiful and paradisiac islands. But, these holidays has a purpose Chelsea will participate in a dance competition that requires all of their concentration during rehearsals. 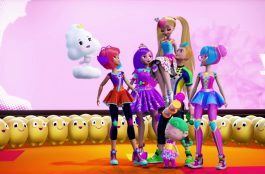 While she is distressed by having an impeccable performance to be the winner, her sisters ask her to calm down and Barbie encourages her to “see a big surprise”. The girls decide to go with their dogs to tour the island and they are going to make it a very quick trip, just to get distracted a little. Everything seems to be going very well, but something changes. When arriving at the Festival of horse, the girls are excited by how beautiful it is, all the horses dance and move with peculiar style. While the girls decide to go to see the show, the puppies go out a little to play and are lost from the sight of their owners. Meanwhile in the horse-dance area, the sisters are extremely moved by the equine presentation. 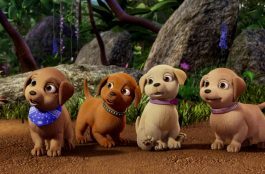 However the girls do not imagine that something serious is about to happen in that distraction; Their puppies disappear and nowhere do they find them, then the girls must undertake a mission to locate them, all that before the performance of Chelsea. The walk and rescue plan is yet to be worked out, they must hurry because things start to get complicated. The girls know that everything can be arranged with the collaboration of each one and they do not give up. Meanwhile the puppies find themselves living their own adventure in the company of other dogs and humans, who offer to take care of them while they appear their owners, they have no idea how much they are suffering girls! The girls embark on the search trip, in collaboration and with the brotherhood that characterizes them, each one girls must start their imagination and work to achieve their goals, always in order to locate their puppies. 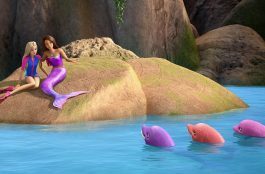 Throughout the film we will see Barbie worried about trying to reach the competition of Chelsea, to find her friends with cold noses and to leave before a long list of complications that unfortunately begin to happen to them. Barbie is going through a bad time and tries to look strong, believes that she is ruining everything. But as always, the sisters have good people at their side who will make the way much easier. Will Chelsea be able to reach the dance competition that they have worked so hard for? Will they find the puppies that are the traveling companions of each? Will they be able to forge new friendships? They will surely be able to free themselves from all their problems, with a great teaching: courage, brotherhood and good attitude. 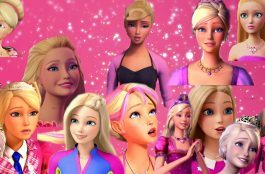 You have to see the holidays of Barbie and her sisters, in the paradise island that has great surprises for them!